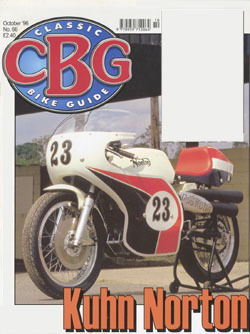 Here are some of the racers who have ridden for Gus Kuhn over the years. Some names you will expect, some you may be surprised to see on this list. If we have missed anyone, we apologise, and please let us know. A short history of motorcycle sport in the UK. Putting the evolution of motorcycle competition into perspective. Alan Cathcart charts the success of Gus Kuhn Norton team. Colin Seeley, Racer ... and the rest.